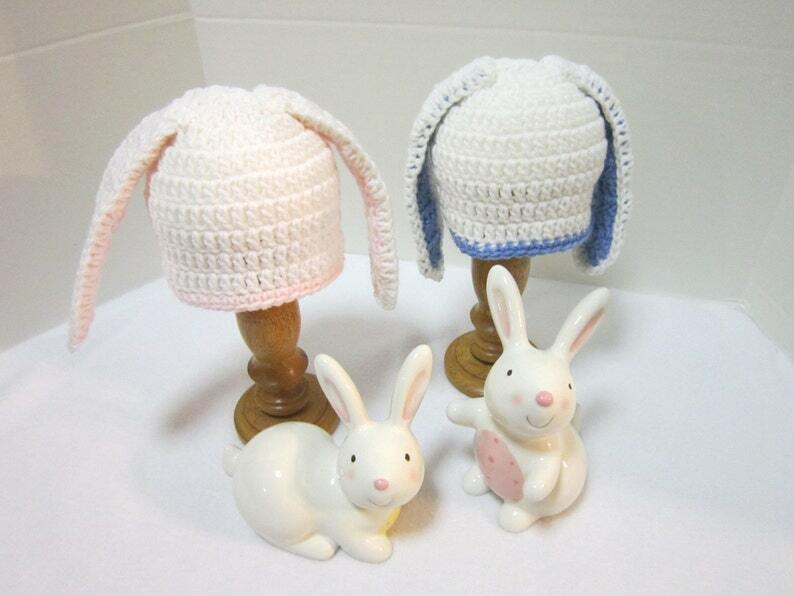 This bunny baby hat is made from white yarn. I've added either blue or pink ears to the hat. These hats would be perfect for Easter or spring pictures. They would be great for triplets or twins. What a great shower gift this would make for a co-worker or friend. Or you know someone having a baby or babies this spring. Order one of more for them. Your hat(s) will be made and shipped approximately 2 to 3 days after your order is complete. What a perfect little hat to complete that Easter outfit.